Outsourcing medical billing services for surgical practices can help maximize claims payments and keep your practice compliant. This is accomplished through aggressive collection practices, efficient and accurate execution of billing tasks, and current knowledge of documentation regulations. In this post, we outline important tips to keep in mind when searching for the right medical billing company to handle your practice’s accounts receivable. Do They Focus on Your Specialty? Each surgical discipline requires distinct guidelines, policies, and regulations when it comes to billing. Look for a medical billing company that has existing surgical practices as clients and that also has experience in your specific subspecialty. Make sure the company has certified, professional, and experienced medical coders and billers that will keep your practice compliant with HIPAA and OIG, maximize payments, and drive up revenue. Do They Work With Your Current EHR Software? Surgical medical billing services should streamline your practice’s operations. A medical billing company dedicated to making your revenue cycle more efficient, and as a result, your practice’s operations more efficient, should be able to work with your current EMR software. 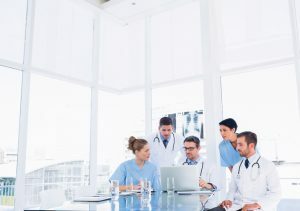 Working with a medical billing company that can manage your revenue cycle using your EHR is key to achieving long-term profitability and productivity. Additionally, contracting medical billing professionals that can work with your EHR ensures that your office staff does not need to be re-trained on a new software, meaning they can keep doing business as usual. Do They Invest in Customer Service? When choosing a surgical medical billing service, one of the most important things to consider is customer service. It’s important to know that you will be able to access support when needed and that your phone calls and emails will be answered promptly the same day. Ideally, the medical billing company you choose will assign at least one individual that will be dedicated to your account. When comparing surgical medical billing services, it’s very important to prepare a list of questions that will provide you the information you need to make the most informed decision. How many clients are you currently working with within my specialty? How much experience does your personnel have working with my specialty? What systems do you have in place to protect personal health information? How many people will be assigned to my account? 5 Star Billing Services can help your surgical practice maximize claims payments, drive up revenue, and dedicate more time to value-based care for your patients. To learn more about our medical billing services, contact us online or call us at 480-821-1371.